The Daily Telegraph is the latest national newspaper to make a politically related PR slip-up due to an apparent lack of communication between the editorial and advertising teams. 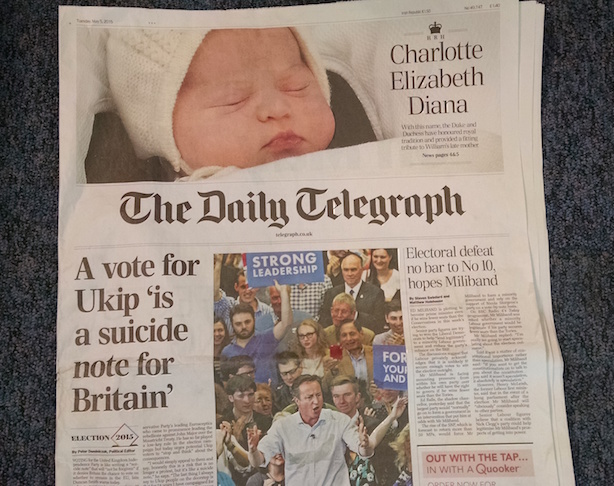 On Tuesday, the front page of the newspaper led with the headline ‘A vote for UKIP is a suicide note for Britain’. Written by political editor Peter Dominiczak, the piece contained the opinions of former Conservative Party leader Iain Duncan Smith. 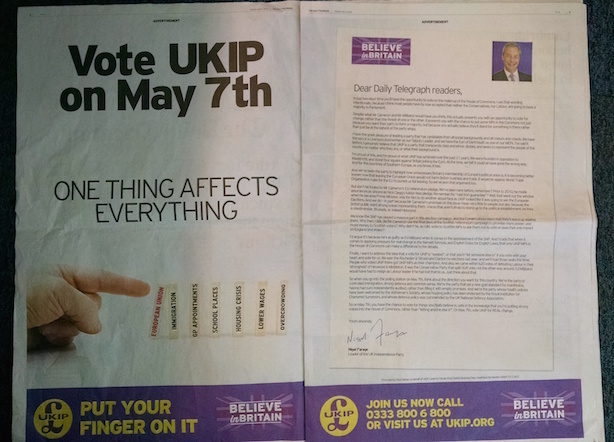 Meanwhile, pages two and three of the paper contained a double-page splash advert, paid for by UKIP. PRWeek understands it cost UKIP approximately £100,000 to place the advert. The Daily Telegraph reaffirmed that its editorial position is to support the Conservatives and that there is a clear difference between adverts and editorial. "Like any other business, we never comment on individual commercial relationships, but our policy is absolutely clear," the newspaper said in a statement. "We aim to provide all our commercial partners with a range of advertising solutions, but the distinction between advertising and our award-winning editorial operation has always been fundamental to our business." Speaking to PRWeek, a Telegraph source described the incident as a "completely coincidental juxtaposition". A UKIP press officer said the article in The Daily Telegraph was the Conservative Party’s attempt to demonise the smaller party. The spokesperson told PRWeek: "It makes for quite an ironic juxtaposition. The story is scaremongering… if that’s not negative campaigning [by the Conservatives], what is? "I’m not going to comment on whether we have a problem with The Telegraph."